Somu Organo-Chem Pvt. Ltd., was established in the year 1995 with a manufacturing unit at Malur near Bangalore to manufacture Specialty Fine Chemicals, Pharma Intermediates, Perfumery and Flavour Intermediates, Agro Chemical Intermediates, Mining Chemicals and Flotation Reagents. 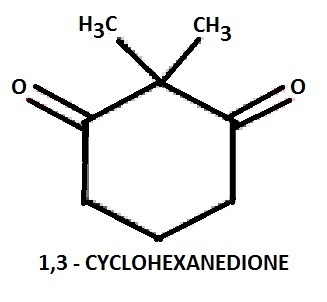 An intermediate for preparation of Ondansetron and the construction of B-ring in Steroids. An intermediate for preparation of Plant Growth Regulators and Herbicides - Mesotrione and Sulcotrione in Corn, Wheat, Soyabean etc., Crop protection. Flash Point : 850 C Approx. An important intermediate for manufacturing of Anti-Cancer and Anti-Infective Drugs - Dihydroartemisinin and Dihydroartemisitene dimers. An important intermediate for manufacturing Anti-Diabetic Drugs - Pio-Glitazone, Rosi-Glitazone and Tro-Glitazone. By: Supreme Globe Exports Pvt. Ltd.